From Antarctica to West Africa, Peru to India, Vietnam to Uganda and Kenya, healthcare professionals and academics from across the South West have long contributed to health needs around the globe. Now, they have come together to form the Global Health Collaborative – dedicated to improving healthcare and providing UK health professionals with opportunities overseas through special projects, education, research and sustainability. 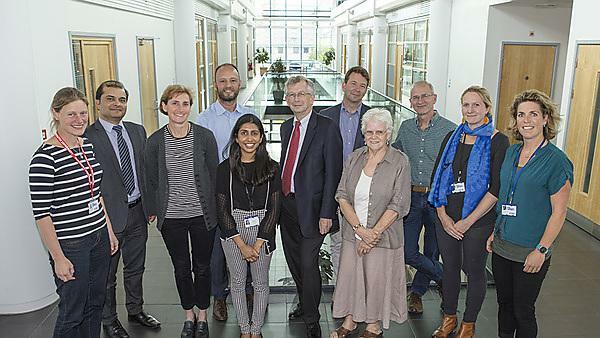 The Global Health Collaborative is a growing network and is currently a partnership between the University of Plymouth, Plymouth Hospitals NHS Trust, Royal Cornwall Hospitals NHS Trust, Torbay and South Devon NHS Foundation Trust, Masanga Hospital in Sierra Leone and Exploring Global Health Opportunities. The range of projects is extensive and includes: orthopaedic treatment and surgery in Kenya; the development of nurseries for poor urban children in Peru, with related job opportunities for local women; training in Ebola care and infection control in West Africa, through Masanga Hospital with which the University of Plymouth and Derriford Hospital have a long relationship; a hospital for the poor near Delhi; support for medics and staff in the British Antarctic Survey; physiotherapy support in Palestine, and; lung disease initiatives in Uganda, Vietnam, the Kyrgyz Republic and Greece. Sitting at the heart of the Global Health Collaborative is a range of postgraduate masters courses in global and remote healthcare, delivered by Plymouth University Peninsula Schools of Medicine and Dentistry (PUPSMD), in conjunction with other Global Health Collaborative partners. The University of Plymouth is a world leader in providing global health education to doctors and other health care professionals.